Who doesn’t want to be a celebrity? Between their flawless faces, perfect hair and stylish outfits, there is nothing more fabulous than an A-lister. Stars look camera-ready 24/7 and it seems like they just wake up that way. Forget about being born blessed! When it comes to celebrities, it’s as if they just wake up beautiful and blessed. Talk about unfair! The secret to the stars’ perfect skin? It’s a result of this magical wand working just that, magic. Drawing an army of A-listers from Lea Michele to Giuliana Rancic, this secret weapon doesn’t just work its magic on the skin — it works miracles. Consider this celeb-favorite beauty roller like a fairy godmother but for our skin. See it: Grab the Nurse Jamie UpLift Facial Massaging Beauty Roller for $69 available at Nordstrom! Also available for $69 at Dermstore! The Nurse Jamie UpLift Facial Massaging Beauty Roller is the perfect tool to add to any pre-existing skincare routine to help make Us feel a bit more like an A-lister. This innovative beauty tool ideal for the face and body holds 24 massaging stones that will temporarily energize and enhance while it revives and uplifts skin. It uses a unique rhythmic rolling action to help improve the appearance of skin tone for a more renewed, youthful-looking layer of skin. But don’t worry, the process is completely painless! Go ahead and forget about any of those troubles that have our skin doomed. 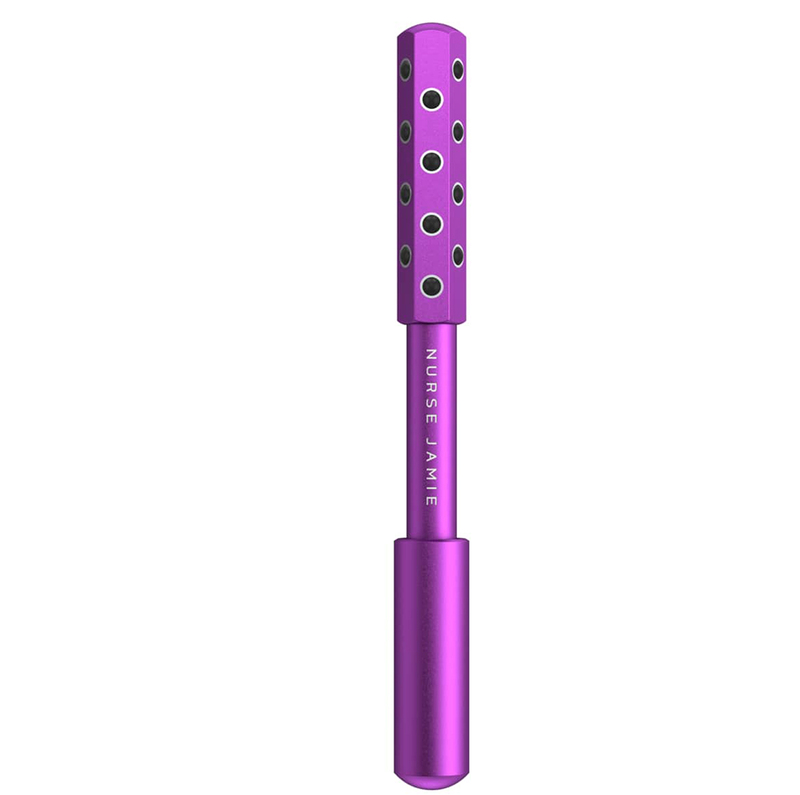 This wand-like tool has so many users raving and insisting this skincare savior is a must-have in any beauty regimen. 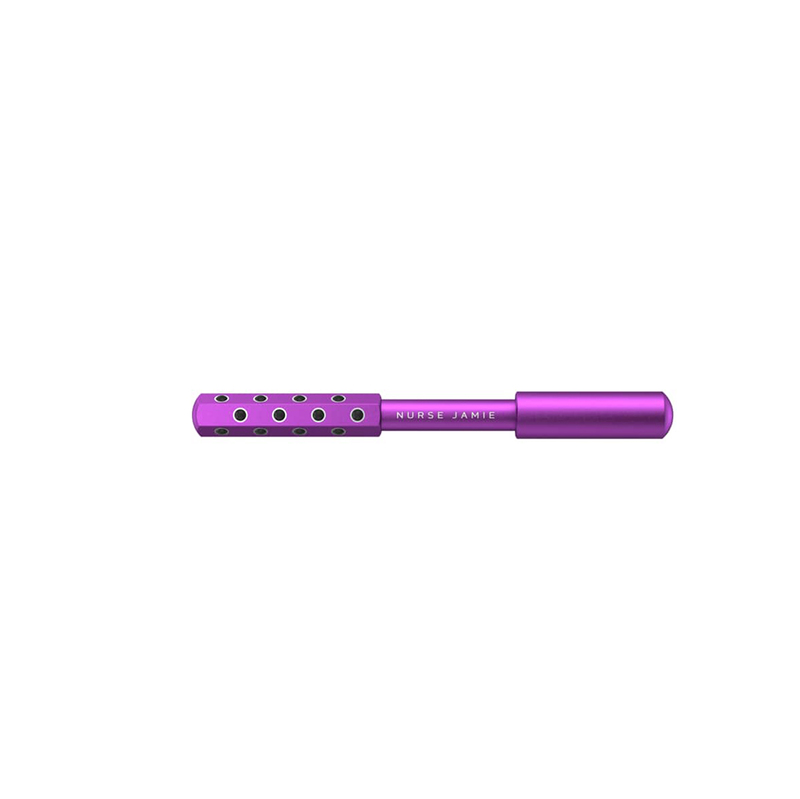 From the mother who purchased this skin-saving tool for her daughter to the reviewer who religiously uses this product every day, shoppers were left oh-so-pleased with this beauty roller. Make no mistake, this innovative invention taking the industry and Instagram by storm comes as no surprise. The super-saving product was designed by nurse and skincare expert Jamie Sherrill, who has been in the skincare business for over 20 years. Better known to her celebrity clients and Instagram fans as “Nurse Jamie,” she’s the one-and-only guru to turn to when looking to solve all of our skin care problems. That’s why we can’t help but take her word, or invention in this case, as our top pick. See it: Grab the Nurse Jamie UpLift Facial Massaging Beauty Roller for $69, available at Nordstrom! Also available for $69 at Dermstore! The army of A-listers supporting this sleek roller is strong. Lea Michele recently shared an Instagram video using this beauty but she’s not alone! Other stars like Giuliana Rancic, Vanessa Hudgens, Morgan Stewart, Khloe Kardashian, Lisa Rinna and so many more famous faces are major fans of this tool! We told you, quite the A-list army! Celebrities love this for good reason, too! This product works towards reducing the appearance of cellulite, anti-aging, loss of firmness, fine lines, wrinkles and even that awkward crepey skin. This celeb-favorite product is the painless option that looks to sculpt a firmer facial contour from the comfort of our home. Consider it like Nurse Jamie making a house call! This roller is not just perfect, it’s perfect for any skin type, too! Simply massage the roller over the desired facial region for 30-45 seconds, avoiding sensitive areas such as the middle of the throat, noses and direct contact with the immediate eye or open wound. For optimum results, it’s recommended to use daily. The process is as simple as that. It’s no wonder that with such an easy-to-use system, it’s the perfect product to use day or night. In fact, one reviewer so smartly pointed out how this roller actually goes ahead and works double-duty. It’s not only perfect for de-puffing, but it’s perfect for lymphatic drainage. Align this massage roller with the facial areas that are irritated or puffy and roll away! Within moments, the skin will begin to look fresher and firm! Even more fabulous? Another reviewer pointed out how refreshing this product feels thanks to the light massaging, which makes it the ideal option when looking to penetrate moisturizer deep within the layers of our skin. Simply apply your favorite product all over face, and roll and blend it in. Talk about multi-functional! With so much celebrity support and showing up all over Instagram, it’s no wonder this tiny product has an army of fans, whether A-list or not! Not your style? Check out additional Nurse Jamie products and skincare tools also available at Nordstrom! See even more Nurse Jamie products and skincare products at Dermstore!